You can hear about the success many community groups and organisations have had using the lottery to fundraise for their communities and find out how to sign up as a good cause. 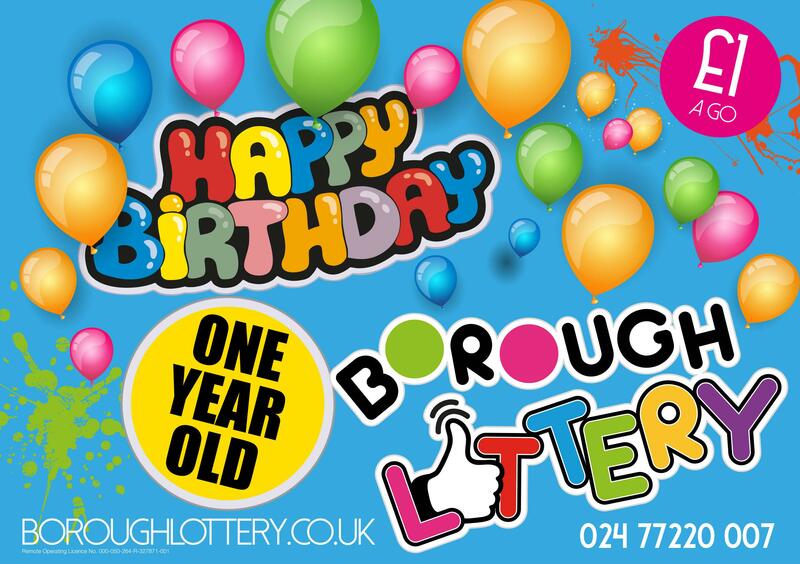 We will also be launching the first Borough Lottery Community Fund grants programme too. Be there to hear it first! Drop in to the Town Hall, Committee Room C from 5-7pm on Monday the 29 April for a chat and cake, plus meet our newly appointed mascot! Refreshments will be provided too with special thanks to Ediblelinks. There will be people around to help with any queries so whether you are a player of the lottery or a good cause- come along to find out more! “This is an exciting time for us, it has been wonderful to see the Lottery grow over the past year and to see the many benefits this campaign has brought to people across our Borough. “From happy winners of the great prizes, to all of the people who have benefitted through the fantastic work of local good causes and the extra income generated for them via ticket sales. Book onto the event here https://blb-april-2019.eventbrite.co.uk or drop in on the day. The event is a partnership between Nuneaton and Bedworth Borough Council and the local office of Warwickshire CAVA.